UEFA president Aleksander Ceferin hopes to see his confederation represented by "at least" 16 teams at a potential 48-team World Cup. 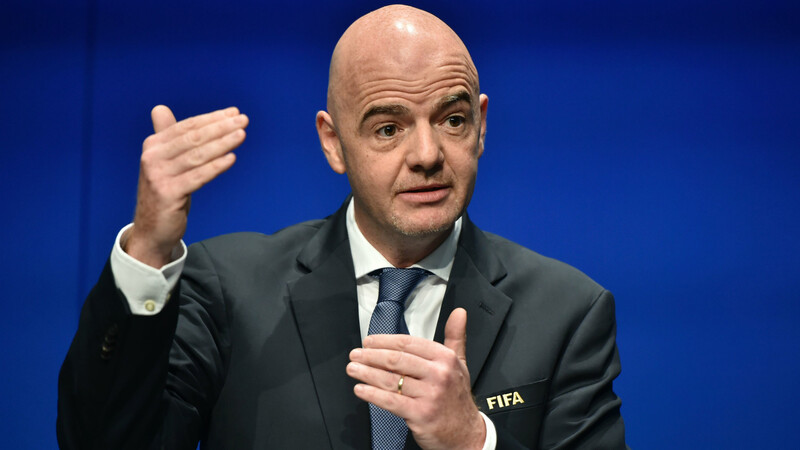 FIFA members have agreed to a proposal put forward by new president Gianni Infantino to increase the tournament to 48 teams for its 2026 edition, but the breakdown by region is yet to be determined. Speculation has suggested UEFA will see its current allocation of 13 places increased to 16, which Ceferin - who was elected to replace Michel Platini in September - has indicated he would be satisfied with. The Slovenian is also hoping, however, that those sides are kept apart in the 16 groups of three that will make up the first round. Speaking at a summit for UEFA's executive committee in Nyon, Ceferin told a press conference: "We should be realistic. We can push and be outvoted, but we think it is realistic to ask for 16 slots at least, plus another condition that each European team is in different groups. "Then if it is true that we are so good, that quality is on our side, I think all 16 can qualify." The executive committee approved a series of governance reforms at the meeting in Switzerland, the main one being the capping of presidential terms to three four-year stints. In addition, in a bid to improve the working relationship between the governing body and its leading clubs, the committee voted to grant two member positions on its body to representatives of the European Club Association. The reforms will need to be ratified at the UEFA Congress in Helsinki on April 5. "I am very pleased that the executive committee gave a unanimous backing to reforms I consider essential for the strengthening of UEFA and which formed a key pillar of my presidential manifesto," Ceferin added. "I am convinced that our member associations will also endorse these good governance proposals to create a stronger and more transparent governing body for the good of European football."